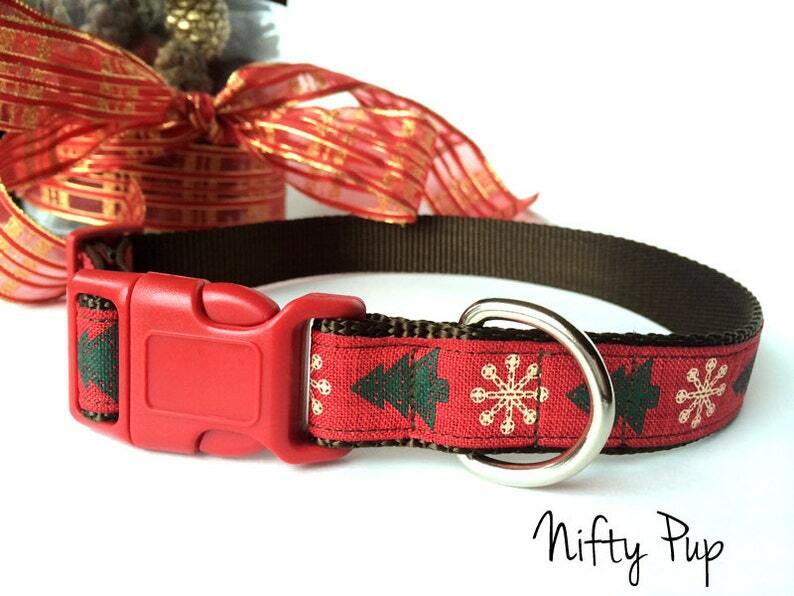 This Christmas dog collar is bringing rustic charm back this Holiday winter season. It's got a vintage style that'll make you & your dog want to curl up next to the fire. It's Christmas tree and snowflake adjustable collar that is made with fabric ribbon that is attached to brown heavy-duty nylon webbing using interfacing and high-quality thread (triple sewn on pull-points). The hardware is plastic (a contoured, quick-release buckle and slip-lock) and a welded nickle D-ring.